Breathtaking glacier lakes, rugged mountains, stunning waterfalls, fascinating geysers, and the "big sky"-these and much more wait for you on this National Parks tour. 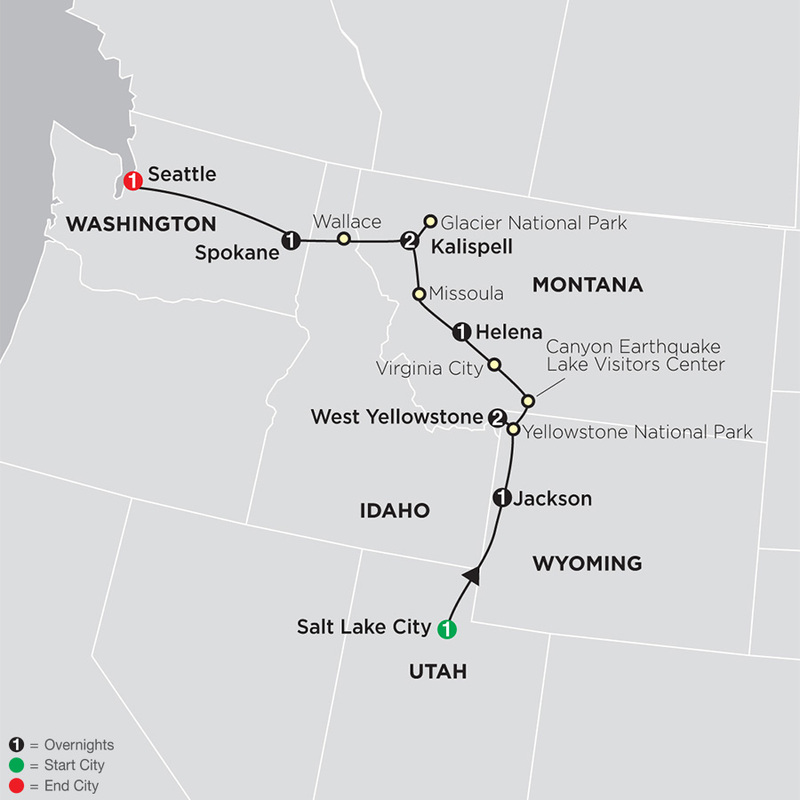 Your tour starts in Salt Lake City, ends in Seattle, and overnights along the way in Jackson, West Yellowstone, Helena, Kalispell, and Spokane. 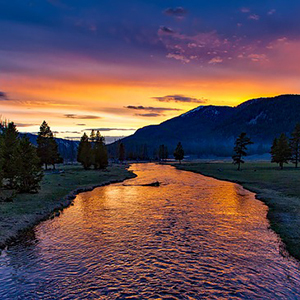 Visit Yellowstone National Park, where you'll view the Grand Canyon of Yellowstone. Stand in awe as you hear the roar of the water and view the glorious falls of Yellowstone's impressive Upper and Lower Falls, almost twice as high as Niagara Falls. Witness Old Faithful Geyser as it explodes into the air, and admire the herds of bison, elk, and other wildlife as you travel the park. A highlight of this western National Parks tour is your ride on the vintage Red Jammer bus in Glacier National Park, with its pristine forests, jagged mountains, alpine meadows, and gorgeous lakes. You'll drive along the Going-to-the-Sun Road, one of North America's most spectacular roadways. Hugging the mountainside, witness stunning scenery along the way. Words and photos cannot capture the beauty-you must witness it in person! $2,069.00 Includes intra-vacat... Book Now!